What is Belgrade top attraction ? Belgrade has a lot to give! One of the things that you probably already know, is that Belgrade does not have an entrance to the sea. What you didn’t know is that Belgrade has a lake, that is considered the place to chill next to to water, ride blades, wake board or just swim with friends. This place is named ” Ada Ciganija ” and it is located just 10 minutes from the Belgrade down town, and it is considers as a Belgrade top Attraction. All over the place you will find Beautiful Belgrade girls drinking cocktails with their friends, playing volleyball or just walk by you with a big smile on their faces. ” Belgrade see ” Ada is experience that you can not miss when you visit Belgrade. If you wonder which place to visit, then go to Just Vanilla or Time out Club. Remember these places are crowded over the day, it is best to hang out at Ada Ciganija during the day before heading to experience Belgrade’s nightclubs. 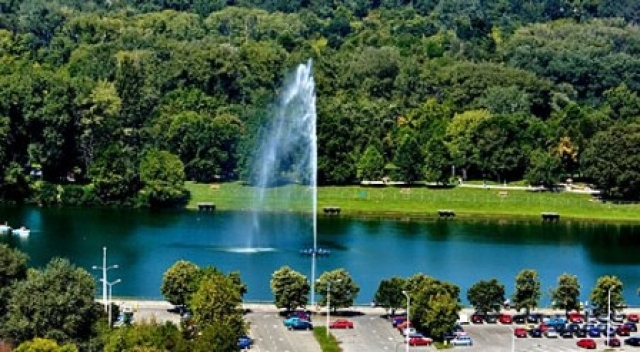 It is important to know about Belgrade Top attraction, Ada Ciganlija, that this place is popular just over the Summer! Over the Winter period Ada Ciganlija is good just for walking and jogging.